On January 23rd 3,900 Express Entry candidates received the Invitations to Apply from The Government of Canada. Moreover, the cut-off score was 443. IRCC has presently issued 7,800 ITAs in the present month of this year. 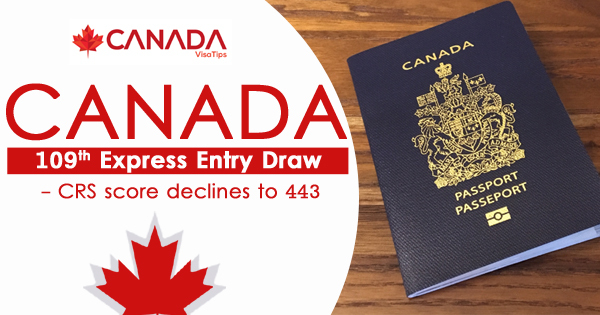 This is a record for issuing the biggest number of invitations in the first month since the inception of the Express Entry system. IRCC also used the tie-break rule in this draw. The time set was Jan 2nd, 2019, at 03:55:26 UTC. All such candidates who had a CRS score of and above 443, and had entered the profile in the EE pool before the set date/time, received the invitation in this round. Additionally, the profiles of all candidates get a score depending on the CRS which gives points for factors like education, age, language proficiency, and work experience. The candidates holding the top ranks are selected from the pool in regular invitation rounds. Furthermore, later they receive an ITA. Candidates who obtain a low CRS score can take certain steps for improving their ranks in the EE pool. Moreover, the successful Candidates who get the ITA receive 60 days window from the date of receiving for submitting the complete PR application to the Canadian Government. It was launched on Jan 1, 2015, and the Minimum CRS point’s necessary for selection in the FSTC was 199 as on May 26, 2017. Moreover, for selection in the FSWC, it was 413 as on May 31, 2017. Minimum CRS point’s necessary for selection in the CEC was 413 as on May 31, 2017. Additionally, it has issued 3,923 ITAs - the largest number of invitations in a single draw on April 12, 2017. The Longest gap between two consecutive draws was 35 days from April 17, to May 22, 2015. Finally it issued 31,063 ITAs in 2015: 33,782 in 2016, 86,023 in 2017, and 89,800 in 2018 and so far in 2019: 7,800. Finally, the Total number of ITAs issued since launching the system stands at 248,498.